I was recently at a dinner and the topic of conversation turned to cork, my good friend made a statement about the wine we were drinking, which happened to have a plastic “cork” stopper. She proceeded to tell the table that the wine industry has begun to move away from cork, embracing other methods such as plastic or screw cap enclosures, and that this was in fact a more “green” method. But is it really? Well, I have to admit I was somewhat surprised myself to discover that cork harvesting is actually a very sustainable practice. 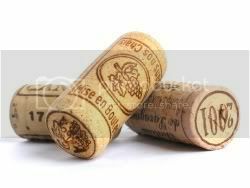 Through a little bit of research I found that cork is both renewable and biodegradable. Almost nothing is wasted - each part of the cork tree serves an ecological or economic purpose. Cork trees are one of the few trees that can live without their bark, since the trees have two layers of bark, and the outside layer can be removed without hurting the tree just as long as the inner layer is not penetrated. Furthermore, since the trees are not cut down during the process of harvesting, they maintain the soil and prevent erosion from occurring. Harvesting cork is an age-old practice that not only keeps the cork oak trees alive, it provides jobs for people and homes for several endangered species such as the Bonelli’s eagle, the Iberian lynx, the azure-winged magpie, and the Barbary deer. To protect these animals from losing their delicate ecosystems, consumers should remember to always try and buy cork, especially since wine-bottle closures account for almost 70 per cent of the cork market! Newer PostHats off to the All American 'Lob-stah Roll'!